Thanapol is a Choreographer and Director based in Bangkok, Thailand. After graduating from Thammasat University with a degree in Film and Photography, he began to pursue his passion for Dance and the Performing Arts. Through out his extensive study of dance he deepened his curiosity in the function and form of Dance Art in our contemporary society. Thanapol has continually created subversive dance performances to investigate his questions and interests about the presentation of a body in space. 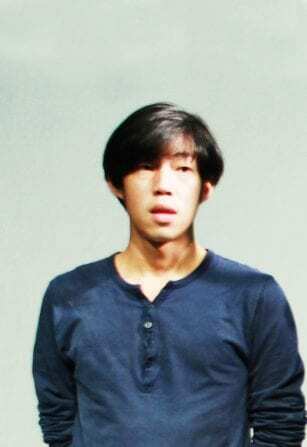 Thanapol was selected to as representative artist from Thailand to participate in Korean-Asean fellowship program in Soul in 2005, Modern dance Program organized by The John F. Kennedy Center of Performing Art in 2010 and Internationales forum 2015, Theatertraffen in Berlin. In 2013, his conceptual dance performance, TRANSACTION dealing with global economic systems, won the award for best direction in a performance and in 2014 his contemporary dance performance “Hipster The King”, won 3 awards from IACT (International Association of Critics Thailand). In 2016 this piece has toured internationally to the Offene Welt festival in Ludwigshafen, Festival Theaterformen in Germany and the STORE HOUSE Collection in Japan. Thanapol’s most recent work, Happy Hunting Ground, created in collaboration with Badisches Staatstheater Karlsruhe, was performed in Thailand, Germany and Switzerland.